Last week, we discussed the role of fitness in the medieval world. This week, it’s time to move on to the modern era. As machines began laying the groundwork for the robot uprising by taking over more and more of our duties, exercise became something that people had to make time to do on purpose. This transition began as early as the beginning of the 19th century, when German nationalist Friedrich Ludwig Jahn opened the first children’s gymnastic school in Germany in 1811. 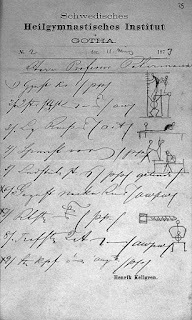 Jahn believed that a strong society depended on the literal health, strength, and physical prowess of its members, and was a member of the Turnverein movement, which espoused the cultivation of good health through the use of gymnastics equipment. 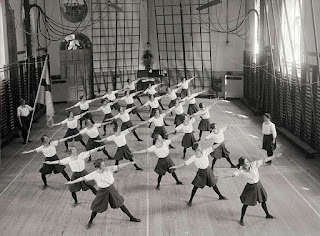 The movement also purported to develop a spirit of patriotism among German youth, and to prepare young Germans to defend their country against the armies of Napoleon, who were also probably doing gymnastics. 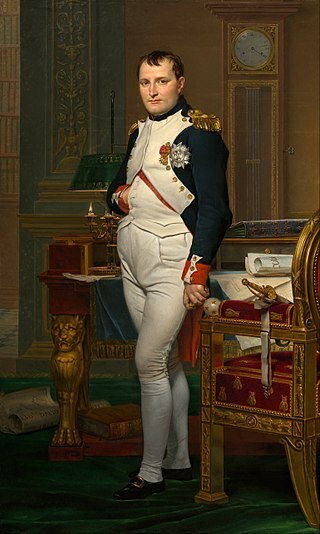 Imagining Napoleon vaulting into his saddle from a standing position only increases my respect for him. I say that because, at around the same time, Swedish teacher Pehr Henrik Ling was in France, learning to fence and noticing that the physical exercise the sport required was improving the gout he struggled with. Upon his return to Sweden, Ling continued to exercise daily, teaching fencing at Lund University, and developing a gymnastics-based exercise routine that he hoped others could use to restore his own health, as he had restored his. He studied anatomy, physiology, and medicine, and eventually became gymnastics instructor at the Military Academy of Carlsberg. Gymnastics, you see, were sweeping Europe at the time. By the end of the 19th century, men’s gymnastics would be popular enough to be included in the first Olympic Games in 1896. Ling was instrumental in this development, inventing several early versions of modern gymnastics apparatuses, including the box horse, beams, and wall bars. 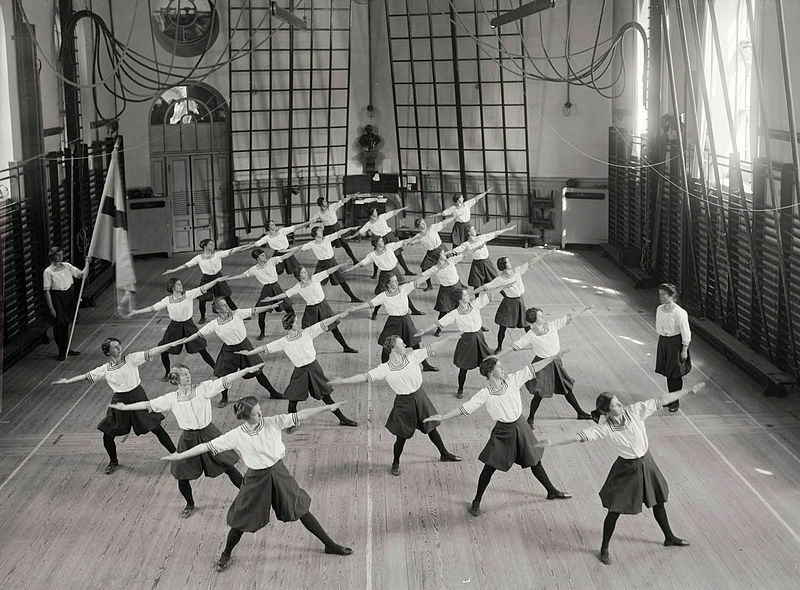 A group of women doing Swedish gymnastics in 1900. Although Ling had studied medicine, the orthodox medical establishment in Sweden at the time resisted his claims that exercise could be used to promote and restore health. 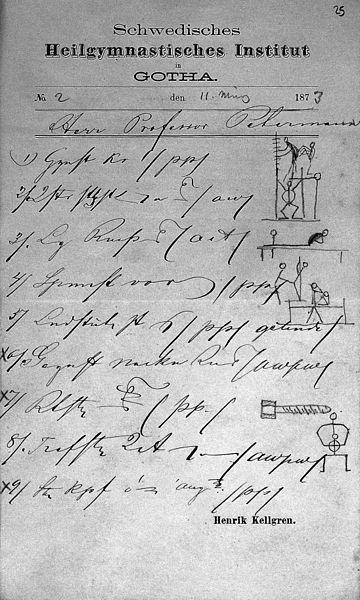 But in 1831, Ling was elected to the Swedish General Medical Association, and his theories began to be taken seriously, and though Ling died of tuberculosis in 1839, his ideas would form the foundation of what would later be known as medical gymnastics. For a period in the 19th and early 20th centuries, doctors would prescribe medical gymnastics as doctors today prescribe exercise and lifestyle modifications to treat disease. Some believed that medical gymnastics were a useful complement to other, more orthodox treatments, and some believed that medical gymnastics alone could be used to treat disease. I guess it was probably better than doping patients up on opium and cocaine, although if I were a patient in 1830, I’d probably want all the opium and cocaine I could get, to distract me from being a woman in 1830. I’d definitely have some kind of hysterical disease, is what I’m saying. Thank god I have my gymnastics prescription. As time marched on, private gyms began to proliferate across Europe and North America, with the first private, indoor gym opening in Hesse, Germany in 1852. The Turnverein movement reached American in 1848, when the first Turners group formed in Cincinnati in 1848. The movement continues to this day.